Senator Maria Cantwell, in red jacket, talks with Klickitat County Commissioner Dave Sauter and PUD CEO Jim Smith high atop the plateau where the upper pond for the pump storage project would be built. 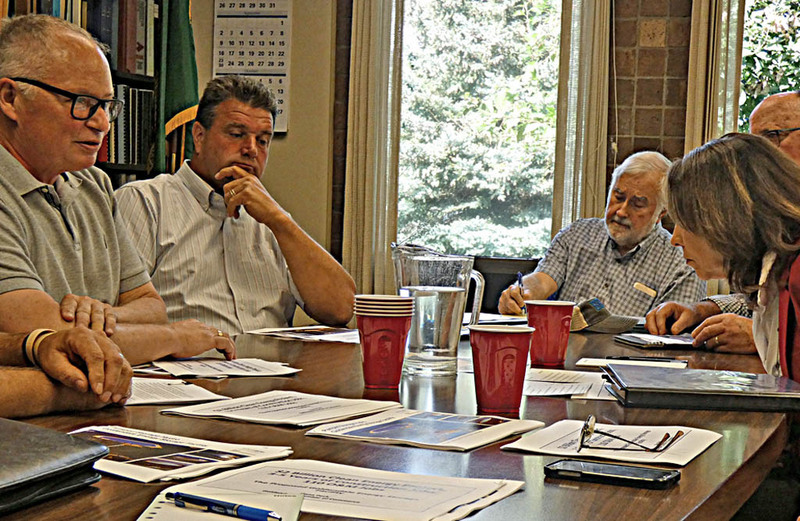 Sen. Cantwell, right, talks with Dana Peck of the Goldendale Chamber of Commerce, left, Klickitat County Commissioner Dave Sauter and Goldendale Mayor Mike Canon. Washington Senator Maria Cantwell paid a visit to Klickitat PUD Monday, September 10 for a discussion of the proposed pump storage project. 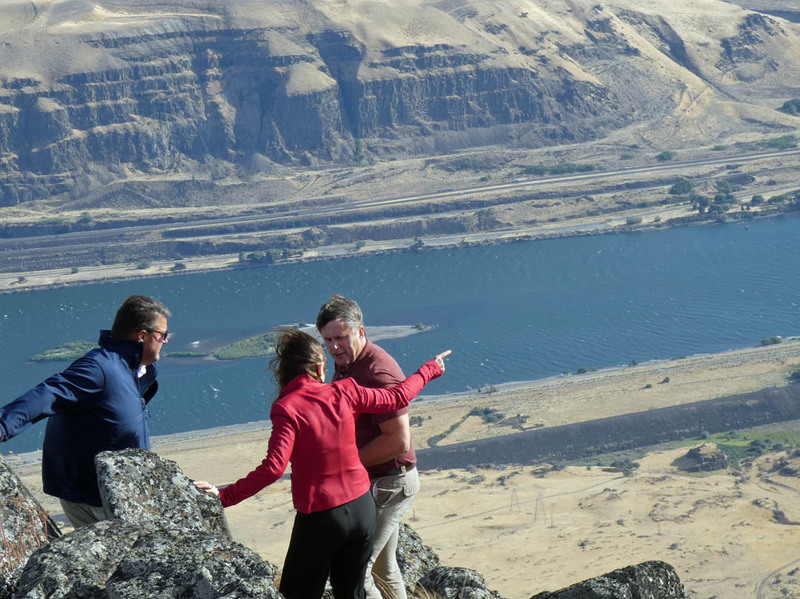 In addition to a briefing at PUD headquarters in Goldendale, she made a site visit to a very windy plateau high above the Columbia where the project would be constructed.